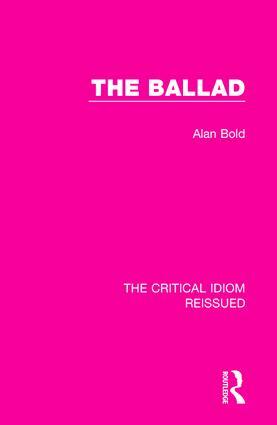 First published in 1979, this work presents the history of the ballad, including its origin, style, content and preservation. It explores how ballads have adapted and changed over time, particularly with the rise of mass literacy and printing and the decline in the oral tradition, and in doing so, demonstrates the versatility of the genre. With separate indexes for names and ballad titles, this book will be a valuable resource to those studying English ballads and early modern and modern poetry.